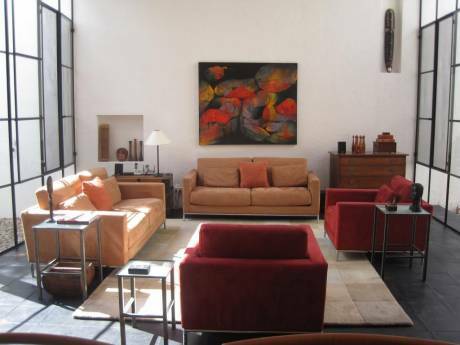 House for 6 in the heart of San Miguel de Allende, Mexico. 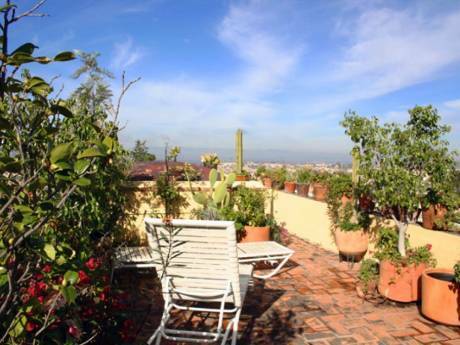 Far from the clamor of Centro, yet only a 10 minute walk to El Jardín. The first bedroom with 1 full bed is on the first floor with its own bathroom and opens up onto a lovely backyard with table and chairs and beautiful plants and trees. A perfect spot for having breakfast under a sunny sky. Also in the first floor, there is a family room with its own bathroom and flat TV and a sofa bed that can be used for 2 people. The other 2 bedrooms are on the 2nd floor: one with an onsite bathroom and dressing room and a King size bed as well as a balcony with two chairs and one table to enjoy the sunrise over the mountains, the other one has a full bed and a terrace. Your Mexican home away from home has a huge dream kitchen with all the amenities, dining room that seats 6 to 8 just outside the kitchen. The housekeeper comes daily, and there is an optional cook service. It is almost impossible to describe the magic of San Miguel. 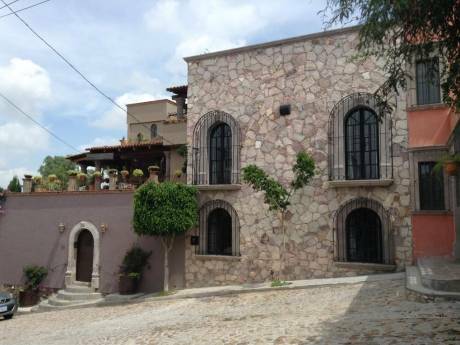 You need to come down and experience it for yourself in our house, a jewel in Colonia San Antonio, the heart of San Miguel. We are avid travelers with an empty nest and we decided to share our home with the world to get some extra income while allowing others to experience the magic of San Miguel from the most perfect location. Citizens of planet Earth, we speak English, Spanish, and French. Please contact us with any questions regarding our beloved house. Many little neighborhood restaurants with amazing food are nearby. Theater, art, music, local markets and more without paying big bucks for being in &#8220;Centro&#8221; with its noise and no parking spaces.